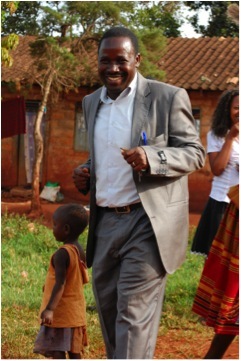 Stephen Adundo Egesa is a graduate with a Degree in Social Work and Social Administration. 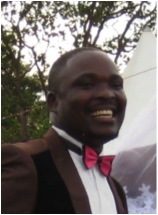 He works with the youth in universities and colleges, preaching and providing pastoral support. He is married to Mariam. As well as trustee of MVA, Jane Rwenzo is an elder of Nile Baptist Church. She has supported and helped form the vision for MCOP since its establishment in 2005, advising on the best way to deliver a holistic service to the Masese community. Tabitha is a town planner for Jinja Municipal Council. Born in Buyende district she moved to Jinja after receiving a diploma in Architecture from Kampala in 1983. She is a single mum of three sons, Ben, Jonah and Daniel and now has three grandchildren. Tabitha has been friends with Pastor Alfred since an initial meeting about land for the Macedonian Project. She was asked to serve as Trustee when the project started in 2005. Agnes has been a regular attendee of Nile Baptist Church for many years. Having got married there in 1985 she now has 5 children, 2 boys and 3 girls. She was born in Western Uganda in a place called Tooro, and is one of ten children. She is employed by National Water and Sewerage Corporations as an accountant and has recently graduated with a Masters of Business Administration. 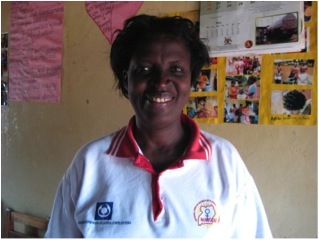 Chairperson of women workers in Uganda, which is a Trade Union called ‘National Organisation of Trade Unions’. President of women who are trade unionists in Eastern Africa, in charge of 16 countries, through an organisation called ‘Trade Union of Easter Africa’. She was elected to the role in September 2014. 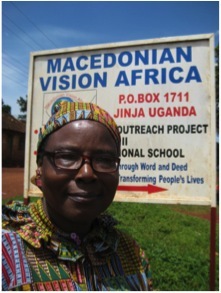 She was invited to stand as trustee on Macedonia Vision Africa from its conception in 2005, after Pastor Alfred Adundo shared the vision of the project with her. She has the role of treasurer.